A design for 2 I Street submitted in early 2016 to the city's Board of Zoning Adjustment, showing its location along South Capitol Street, with the Capitol dome to the north. It was not expected that the second phase would already be under construction, but it is indeed. Feb. 11, 2007 - The same angle as the rendering as it looked from about 1985 until February 2017 (albeit with a renovation of the McDonald's in 2012). Jan. 5, 2019 - Mimicking the rendering, albeit from farther down South Capitol Street. 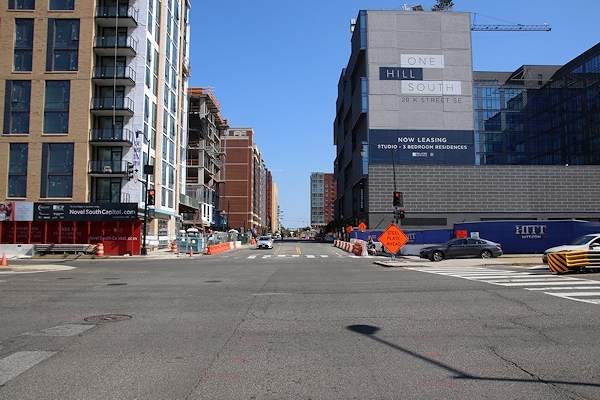 Looking east on I Street at South Capitol, where Novel is now dominating at left. Jan. 6, 2019 - The project's east side, where the second phase is well along. Sept. 30, 2018 - The I Street entrance to the building's courtyard, sneaking underneath the residential tower. April 14, 2018 - The view from the Southeast Freeway into the neighborhood has changed considerably as well. 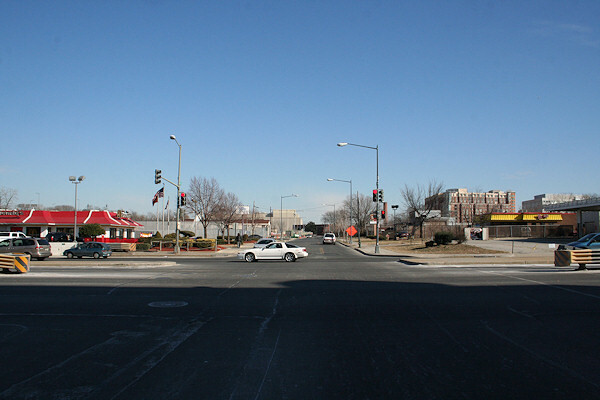 Feb. 11, 2007 - Looking down the north side of I Street from South Capitol, in the neighborhood's old days. September 30, 2018 - And the current view of the same location, minus Golden Arches (waaah!). Jan. 12, 2012 - One of my favorite shots, showing the site as seen from 1015 Half Street, a few months before the McDonald's was renovated. At right is part of the operations for the Capitol Power Plant (the lovely smokestacked building just on the other side of the Southeast Freeway). An early 2016 rendering showing the entrance to the project. A site plan showing both the layout of the ground floor and the two phases of the project, with a potential second phase of 170 rental units, or condos, or perhaps a hotel. Aug. 14, 2005 - The pre-renovation version of this McDonald's. Nov. 11, 2012 - .... And as the renovation was finishing up in late 2012.